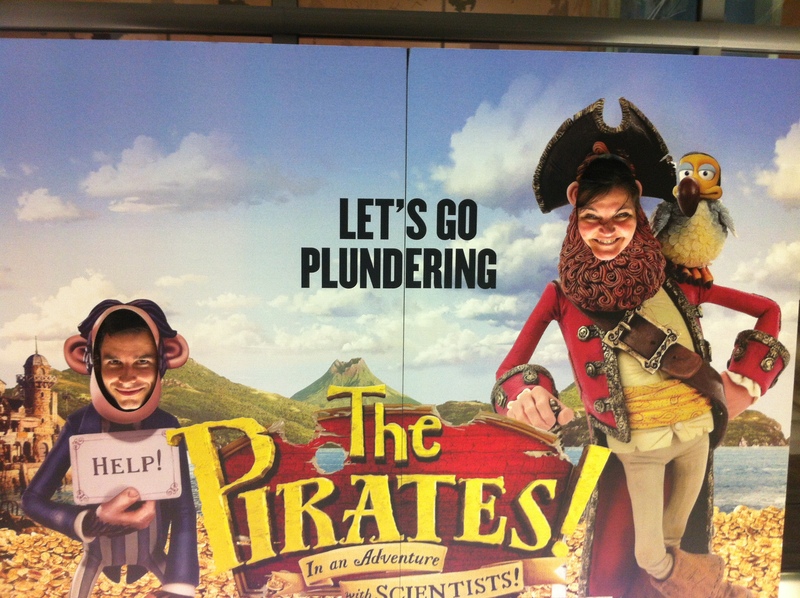 Drop everything & dash out and see The Pirates in an Adventure with Scientists. Well, ok, it might not be out quite yet when you are reading this, but drop everything & see it when it is! I went adventuring off to Sony Picture’s private screening room in London for a preview and what a treat it was! The Pirate’s author Gideon Defoe was there in person to introduce the film & to answer a few questions. When asked what the difference between writing a book & a film was, he replied when writing a book you can wear a bathrobe all day, but films are too collaborate so you actually have to get dressed! He was delightfully funny. So I admit, I was in a very good mood when the film started, but right from the start I knew that my good mood was going to continue. I was struck immediately by the creativity & imagination of Defoe in devising the characters & story & also by Aardman & co for making the story come to life. The characters were engaging, charming & amusing and beautifully animated & the storyline was entertaining & even more importantly if there are to be any follow-ups, I was instantly attached to the characters & hooked into the Pirate world. Just like JK Rowling has managed to create the Harry Potter characters & world that so many want to believe in, Defoe has created a charming Pirate world that I can’t wait to learn more about. In fact, I am going to have to buy the book to soak up even more. I don’t want to give too much away, but the storyline revolves around a slightly incompetent Pirate Captain who desperately wants to win Pirate of the Year Award this year. His quest sees him and his crew venturing to the foggy streets of Victorian London, ruled by Queen Victoria who hates pirates, but takes a liking to his parrot. Aardman are masters of detail & each scene was filled with all sorts of finishing touches that enhanced the main action & goodness, the stop motion animation is amazing! The voice talent is excellent too. Perfectly cast & performed. Easily the best stop motion feature I’ve seen to date, plus now one of my favourite animated films too. It was also one of the best stereoscopic 3D viewings I have seen. The stereo 3D seemed to be just a natural part of the film, rather than annoying eyeball sucking in-your-face 3D. Having said that, I don’t think it really matters whether you see it in 3D or 2D. I think it will be just as great either way. Huge thanks to Gideon Defoe, Den of Geek, & Sony Pictures (& my animator friend Tom Kloucek) for a great night. Its indeed a Plunderful life, & a Plunderful film. I’m getting tired of poor reviews of John Carter, & the reports of the huge losses. Its such a shame, because its a very fun movie. I’m not quite sure what people are expecting. There seems to be some comparisons between John Carter & Avatar, but quite frankly thats like comparing Hot Fuzz to Schindler’s List. 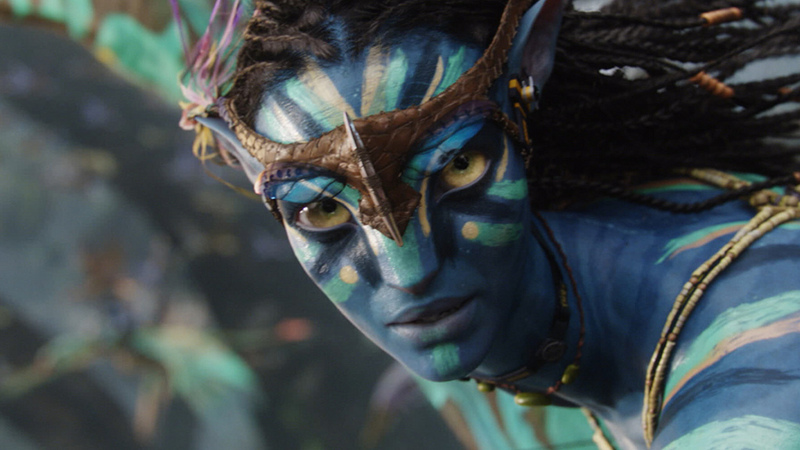 The only thing John Carter & Avatar have in common is aliens. Thats it. John Carter is escapist, comic book science fiction tough-in-cheek fantasy. If you go expecting just to have a fun time & be lightly entertained you might be pleasantly surprised. I recommend seeing this one in 2D rather than 3D though. I didn’t really think the 3D added anything this time round. Watch out for the Martian dog. He’s awesome! Have you seen Avatar yet? Yes, I know it has only been open for a short time, but if you haven’t then you are missing out. Avatar breaks new ground with its stereo 3D and integrated CG creating the breathtaking world of Pandora, jaw dropping creatures, and emotionally expressive giant blue characters. The storyline is pedestrian, predictable and preachy, but who cares when one is immersed in such a fantastical yet believable world. Some people I know have chosen to see it in 2D rather than 3D. They claim it is because 3D gives them headaches, and they don’t like 3D. But they haven’t given this a chance. The stereo 3D in this film is unlike anything you would have seen before. The 3D has been used to enhance the visuals, in the same way that Dolby Digital enhances the sound to provide an enriched movie watching experience. No gimmicky ping pong balls deliberately flying out at the audience to show off the 3D in this. Admittedly you might initially be distracted by the novelty of the 3D, but before long you are likely to forget you are watching stereo 3D, and be taken away to an exciting wonderful new world. It’s a shame that the story is what it is, but James Cameron has done such an excellent job of creating the world that most people will not be disappointed.